I have been itching to share my latest card with you which i specially created for the "Less is More" challenge - Pick a Square (I picked a rectangle to match with the stamp shape). I have always wanted to try out a clean and simple card as i love going over board always :) Also i got to use one of my latest Inkadinkado Stamps that went so well for this silhouette look i longed for. I totally loved the outcome.... more like these are on my list! Love your card and that image is fantastic as is your super colouring. Very Pretty! Is the yellow background colored? or was it a yellow shaded cardstock? What a beautiful oriental image. I love any image that is japanese or chinese! STUNNING! I love this! the colours just pop up beautifully against the plain background! :) you should change your blog's name to stamping queen.. I always see some new thing you have done with stamps.. 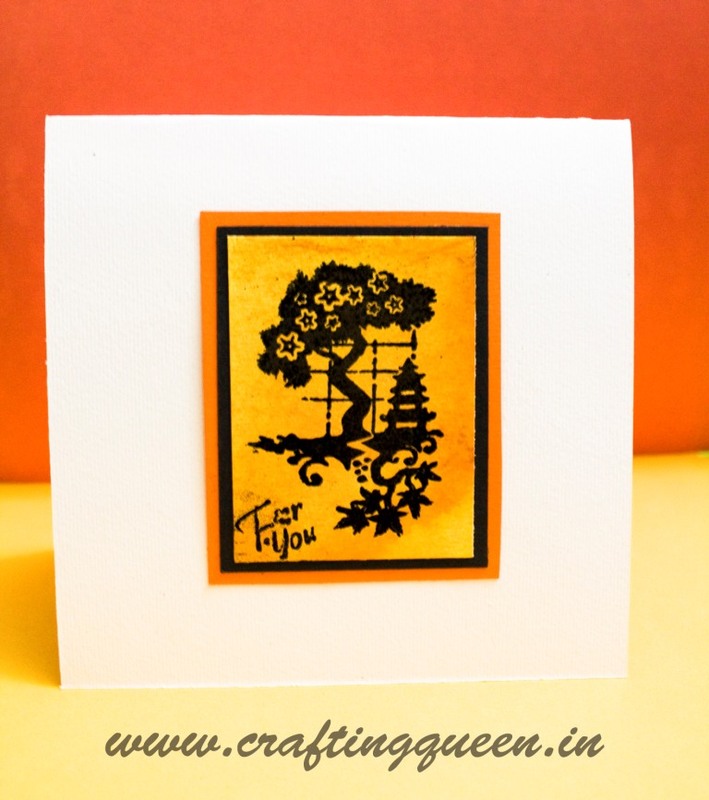 I am so glad that you could join us with this fab card! I hope that you will be able to visit some of the other participants and leave a comment for them as I'm suer they would be delighted to return the favour. Thanks so much and do join us again next time. 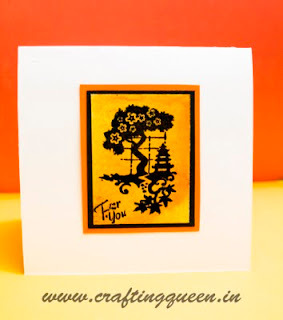 Lovely card karuna ,the color is so pretty. Very pretty! Love the vibrant colors!